Before entering the combined BESc/JD degree program, students must have completed the first three years of the Chemical Engineering program at Western (or equivalent). 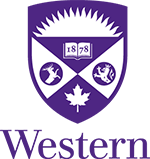 In addition to applying for the combined degree program through the Office of the Associate Dean - Academic of the Faculty of Engineering, students must make a separate application to the Faculty of Law for admission into the JD program by the published deadline, May 1. In the application to the Law School, the applicant must indicate that he or she is applying to the combined BESc/JD program. To be eligible for the combined degree program, students must have completed all the requirements of the first-year curriculum in the Faculty of Engineering, and the second and third year program, Option C, of the Green Process Engineering Program, with either a minimum cumulative weighted average (CWA) of 80% or standing in the top 10% of the class. In addition, the applicant must meet the minimum LSAT requirement established by the Law School Admissions Committee for all combined degree programs. Applied Mathematics 2270A/B, Applied Mathematics 2277A/B, CBE 2206A/B, CBE 2214A/B, CBE 2220A/B, CBE 2221A/B, CBE 2224A/B, CBE 2290A/B, CBE 2291A/B, ECE 2238A/B, GPE 2214A/B, Writing 2130F/G (or the former ES 2211F/G). CBE 3318A/B, CBE 3322A/B, CBE 3323A/B, CBE 3324A/B, CBE 3310A/B, GPE 3315A/B, CBE 3318A/B, GPE 3382A/B, GPE 3384A/B, GPE 3386A/B, GPE 3395Y, Statistical Sciences 2143A/B and one 0.5 technical elective. First-year Law curriculum. No courses outside Law may be taken this year. GPE 4484A/B, GPE 4497, one 0.5 technical elective*. *Technical Electives: Green Process Engineering and Law Option CBE 4407A/B, CBE 4409A/B, CEE 4405A/B. Students enrolled in the combined program are not eligible for an exchange program with the Faculty of Engineering; however, they may be eligible for an exchange through the Faculty of Law in Year 5 or 6. This will require advanced planning with both faculties.